J. Mane Gallery is pleased to present its EAT! International Online Juried Art Exhibition. Food is essential to our survival. It is also one of the great pleasures in life. It's no surprise then that fruit, vegetables, meat, and drink have been common motifs in painting and sculpture from the Roman-era until today. For this competition, artists were encouraged to share their artistic vision and interpretation of food and eating. The artwork varied from realism to surrealism to abstraction. All artists over the age of 18, regardless of location or experience, were encouraged to submit their best inspired work. Each of our themed exhibitions, awards for First, Second and Third Place. The First Place winner for the EAT! show is Sarah Evans for her colored pencil, Good Eggs. Sarah’s excellent command of the medium, composition and interpretation of the theme is what set her work apart. Sara is also the Featured Artist for the next four weeks. 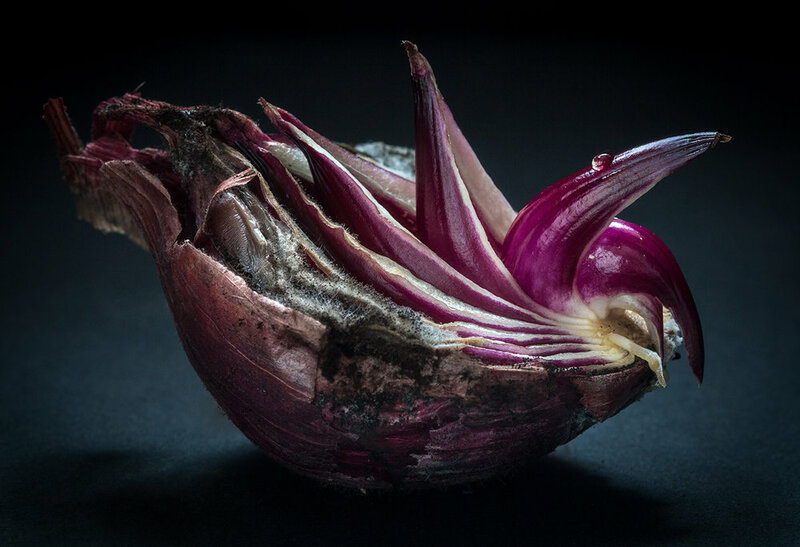 Taking Second Place is Kim Van Liefferinge for her photograph, Onion. And, Third Place goes to Toni Silver-Delerive for her acrylic painting, Fancy Cakes. Four Honorable Mention awards were given as well. Honorable Mention awards go to Vivian Antonini for her oil painting, Red Wine, Skylar Kruger for her photograph, Pink, Joely C. Rogers for her mixed media, Blue Crab, and Vasu Tolia for her acrylic painting, So Delicious-Want Some? Please visit the Monthly Winners Page to learn more about each of these award winning artists and to contact them directly about their work.